On September 12, 1967 Ralph Axtell, of the Biology Department of Southern Illinois University, called the Smithsonian Institution using the teletype connected to his time-shared computer and asked for a [computer] program for the calculation of standard deviations. The Smithsonian then sent him two computer programs. This demonstrated that, using data communications equipment and telephone lines, “it is fast, practical, and feasible to exchange programs in the BASIC language, written for use by biosystematists, between institutions in the United States.” A revolution had begun that would transform museums, research, systematics and science. The following day Dr. James A. Peters produced the inaugural issue of the MUDPIE (Museum and University Data Program and Information Exchange) Newsletter. 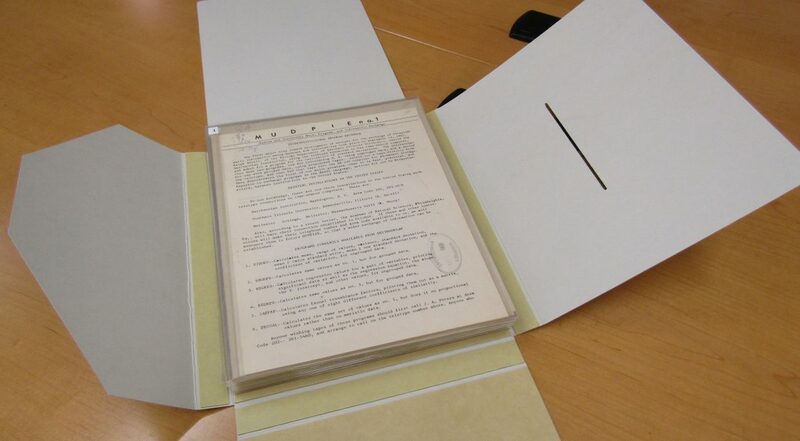 MUDPIE newsletter documents many early events in the adoption of computers and timesharing computing in museums and universities, and was founded and produced by Dr. Peters, the only editor in the newsletter’s publication history. Twenty-six issues of MUDPIE were produced and distributed over a five-year period, between September 1967 and September 1972. 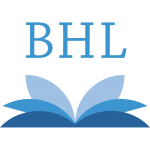 All issues are now digitally available at the Biodiversity Heritage Library thanks to the Smithsonian Libraries. Natural history illustrations often aim to show life-like flora and fauna. 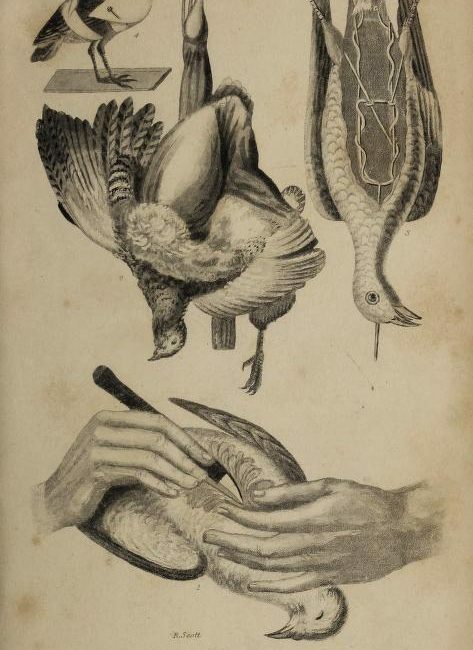 Depictions of birds poised to take flight, fish swimming upstream, and mammals mid-stride are common in 18th and 19th century zoology and botany publications. What is lost in these often lavish illustrations is a certain truth about the way many naturalists interacted with their objects of study: many species of plant or animal were first encountered not in the wild, but in the display case, in the form of carefully prepared specimens. At first glance one notices the unusual oblong-shaped book at 9” x 7” x 3” in a deep brown leather binding. Peeking inside, there are pages and pages of botanical woodcuts – more than 1,020 – each with at least two woodcuts per leaf. For our purposes, a woodcut is an illustration engraved into a block of wood. What is this copiously-illustrated work? 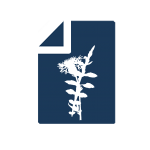 Eicones plantarum seu stirpium, arborum nempe, fructicum, herbarum, fructuum, lignorum, radicum, omnis generis : tam inquilinorum, quàm exoticorum : quæ partim Germania sponte producit, partim ab exteris regionibus allata in Germania plantantur : in gratiam medicinæ reiâque herbariæ studiosorum, in tres partes digestæ : adiecto indice gemino locupletissimo [Francofurti ad Moenum: Nicolao Bassaeo, 1590], by Iacobus Theodorus (1522 or 1525 – 1590). 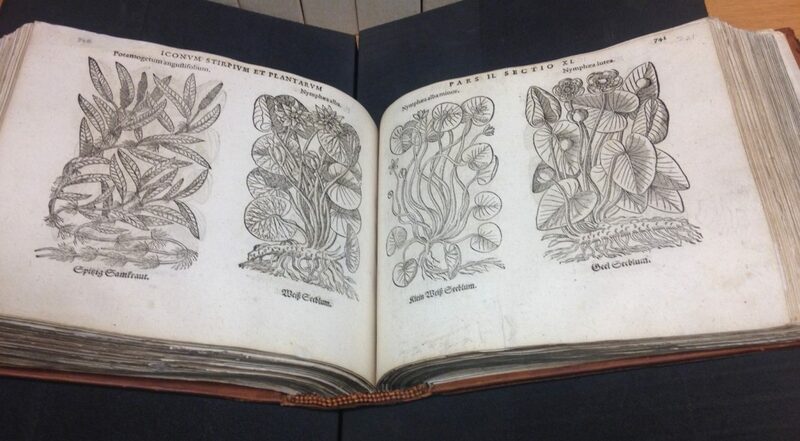 Or, using an abridged, summarized, and modernized translated title, “Pictures of plants, trees, herbs, fruits, and roots that are native to Germany and foreign countries, which are used for medicinal purposes, for apothecary students, and divided into three parts with the addition of a double index”. One of the most interesting titles which the MBLWHOI Library has scanned into the Biodiversity Heritage Library is Résultats des campagnes scientifiques accomplies sur son yacht par Albert Ier, prince souverain de Monaco = Results of the scientific campaigns carried out on his yacht by Albert I, sovereign prince of Monaco. This important book series is part of the MBLWHOI Library Special Collection of the great voyages of scientific exploration. Resultats… brings together the science and data collected by the research expeditions led by Prince Albert I of Monaco (1848-1922) at the end of the 19th and the beginning of the 20th Centuries, and the title consists of 110 volumes published from 1889-1950. 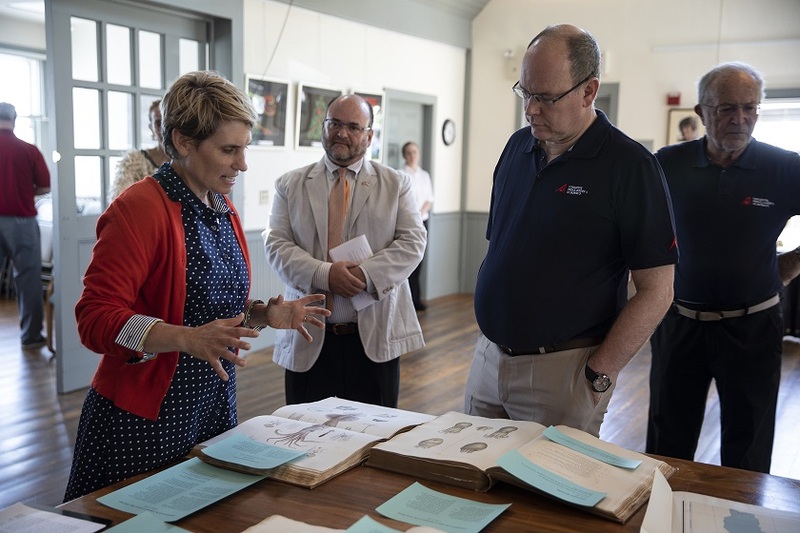 The volumes were included as part of a small exhibition prepared by MBLWHOI Library staff for the current head of state of Monaco and great-grandson of Prince Albert I, HSH Prince Albert II. During the visit, MBLWHOI librarians Jen Walton and Matt Person shared past and present connections between Monaco and the MBL and between this important series and current MBL environmental and biological research. 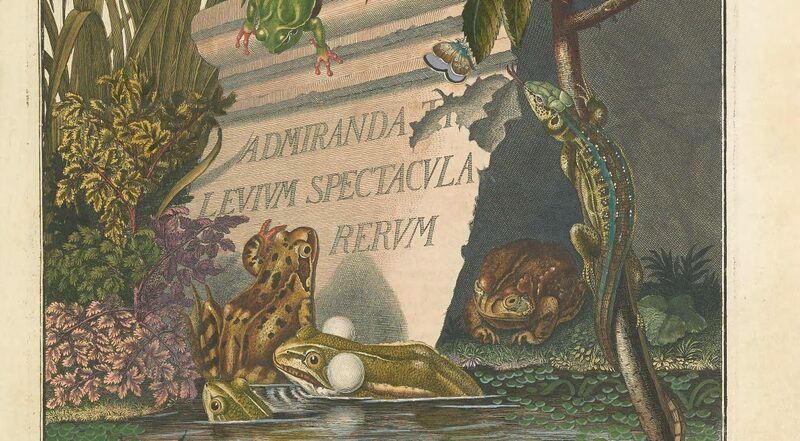 The work of German artist and naturalist Johann Rösel von Rosenhof, Historia naturalis ranarum nostratium describes the natural history of all then-known frogs and toads indigenous to the Nuremberg region in Germany. 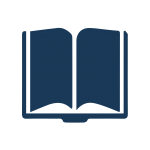 The title is noteworthy first for the extensive, accurate information in the text, printed in two columns in both German and Latin. The work is equally (if not more) renowned for its illustrations. The twenty-four folio, hand-colored copper engravings portray habitats, anatomy, reproductive behavior, and larval development stages in intricate detail.